AURORA, Ill. (WLS) -- After one year, organizers are canceling the Aurora Pride Festival. Indivisible Aurora said a new city ordinance would make this year's event four times as expensive to run. Last year's inaugural pride parade drew more than 10,000 people and organizers planned on turning this year's event into a three day festival. Indivisible Aurora said it met with Mayor Richard Irvin about the festival but even after working with them, "we could not find a fiscally responsible way forward." Organizers said they couldn't "cancel parts of the festival without significantly diminishing the festival experience" as they looked for ways to scale back costs. "As you can imagine, we are heartbroken and disappointed for the Fox Valley LGBTQ+ community, our partners and sponsors, and our enthusiastic supporters and volunteers. We'd like to thank them all for their steadfast support," the group said. Mayor Irvin also released a statement, saying, "In the past two days, the City worked with law enforcement to provide a security plan which would reduce costs but still ensure the safety of participants, shortened the parade route to reduce costs while still have a quality event, and combed through expenses line-by-line to reduce costs." 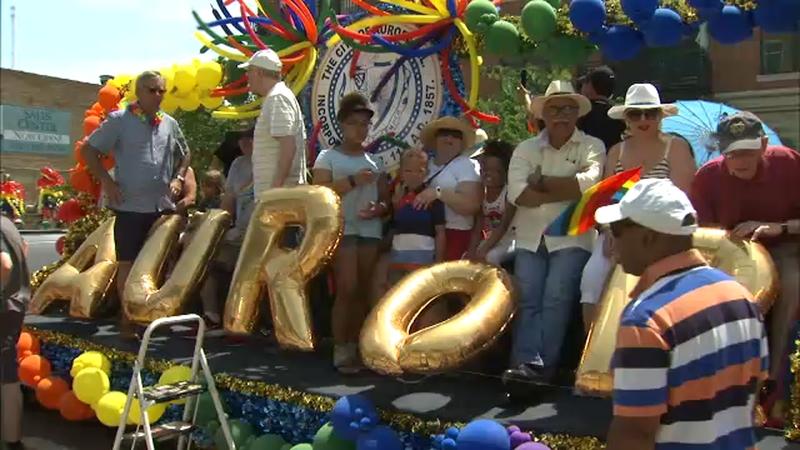 He also said the city secured a local grant to help offset even more costs, "all in good faith efforts to keep the progress and planning of the 2019 Pride Festival in motion." He called the decision to cancel "disappointing, to say the least."